What a fantastic way to start our fundraising year! Thank you to absolutely everyone who had a hand in making this event such a huge success. BIG THANKS to our friends over at C.H. Robinson for their generous donation of over $1,800! Every year the company picks a few non-profits to partner up with. Almost Home was one of five, thanks to Missy Hollis Evans' nomination. The Robinson team and staff held various fundraising events such as Go Fund Me pages, change drives and a bake sale. We are thrilled to announce that on March 24th, 2017, Donna Vickroy of the Daily Southtown published an article about our very own Sarah Galvan! BIG THANKS to Christina Palazzolo and our friends at Noah's Ark Pre-school for doing a super successful donation drive for Almost Home. All that you see here will be handed out at our upcoming hair cutting event on January 28th. We are also sharing with two local families that have fallen on hard times. Why? Because everyone needs help sometimes. Everyone. So very proud of my friends. Last night they delivered over 50 bookbags filled with blessings to those currently experiencing homelessness in the Downtown Chicagoland area. Their daughters came up with the initial idea, and were part of the entire process; from collecting donations to filling the bags and then passing them out directly to those in need. Because of YOUR generous donations, Almost Home was able to contribute a large amount of items to go in the bags. BIG THANKS to Karen, the children and their families at St. Germaine's Religious Ed program. They recently had a very successful collection for Almost Home. In... mid-November, their efforts provided us with over $200 in gift cards for our friends to use during the day to escape the cold by buying a hot coffee or a little something to eat. And last night they gave an additional $200 cash donation for us to use as we see fit. I love the love. I love how our children are learning that everyone needs help sometimes. Everyone. Together we ARE DOING great things! Because of YOUR generous hearts, I'm so happy to report that Almost Home was able to contribute hundreds of toiletries and baby/household items to the Tennessee fire victims. My beautiful friends from church delivered today. Near and far we are coming together to do GREAT things! Wow!! 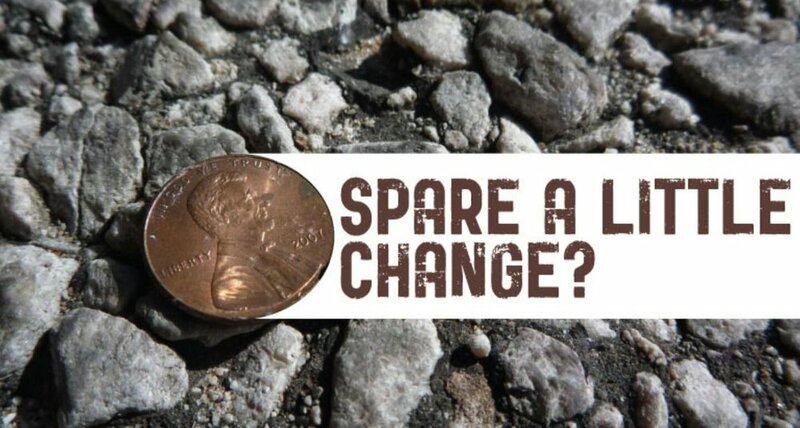 Our spare change collection was a HUGE success! BIG THANKS to all of our volunteers. This absolutely would not have been possible without your support. B...IG THANKS to the Jewel on 87th and Ridgeland for allowing us the opportunity to hold this fundraiser. And HUGE THANKS to all of the generous members of our community. Whether you gave a few cents or a few dollars, it all adds up, and we appreciate every single penny. Ready for our grand total?? Drumroll, please...ONE THOUSAND SIX HUNDRED NINETY-TWO DOLLARS AND SIXTEEN CENTS!! Together we will do GREAT things, my friends!